This 10-page white paper serves as a lead magnet for pay-per-click ad campaigns and other marketing tactics. Its goal is to attract the attention of logistics and finance managers who are searching for solutions to improve freight bill audit and payment processing. The document provides thought leadership by explaining how readers can add much more value for their company by enhancing their freight-audit process by applying the new technology of logistics data refinement. 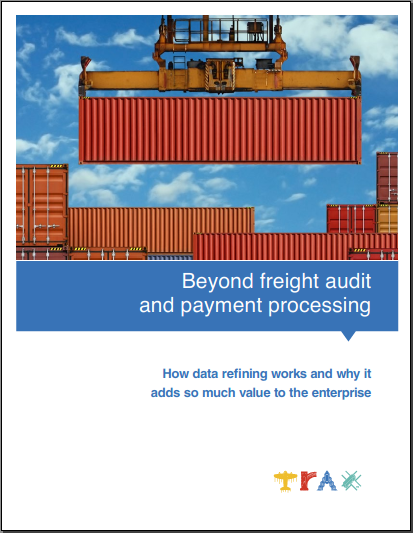 It then frames the challenges companies face in trying to improve their freight audit and payment processing. It describes and illustrates the innovative data refinement solution Trax offers, and it presents the benefits of the Trax slution over other approaches. It closes with a summary, conclusions, and a call to action. "Dave has been our go-to wordsmith for key projects. We’ve been working with him steadily since our first project."